1. Make 200ml of chicken stock using boiling water & the stock cube & add the stock to the couscous. Cover & leave for 5 minutes. Fluff the couscous with a fork. 2. Mix together the lemon juice & zest with the honey, garlic & fresh herbs of your choice. 3. 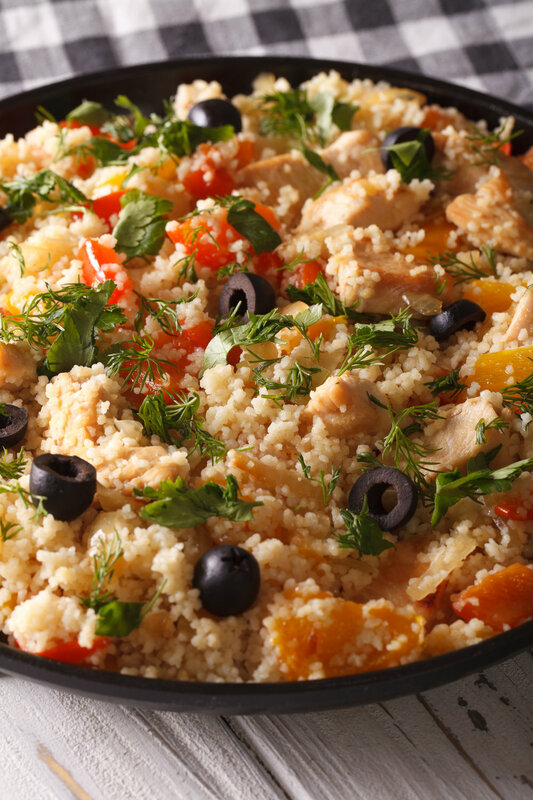 Once the couscous has cooled add the chicken, pine nuts, cucumber, black olives & tomatoes. Mix through the dressing & put the couscous into tupperware lunch boxes & store in the fridge until required. Can be made a day in advance.